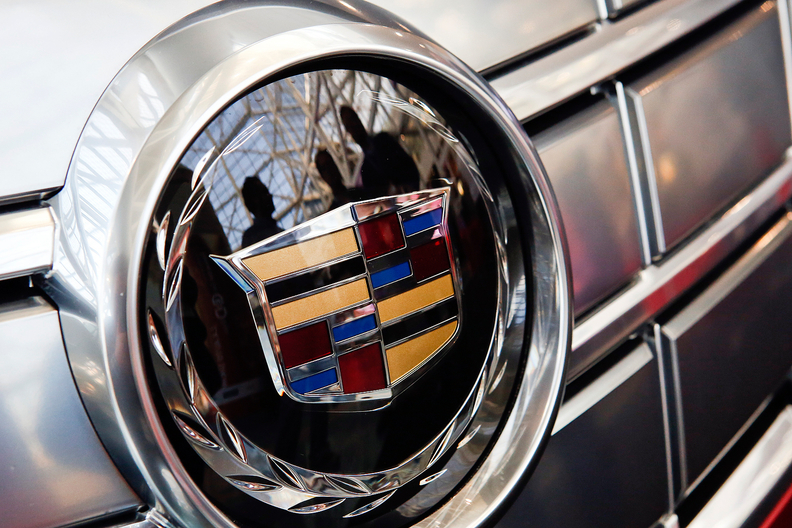 WASHINGTON -- Cadillac will become General Motors Co.'s lead electric vehicle brand as the company gears up to introduce a new model under the luxury marque to challenge Audi, Tesla Inc. and other automakers planning EVs, the company said Friday. GM, as part of an investor update Friday, said Cadillac will be the first vehicle based on its forthcoming "BEV3" platform. The vehicle platform is the basis for vehicle underpinnings, including the battery system and other structural and mechanical parts. GM on Friday did not disclose additional details, including precisely when the Cadillac EV will be built, whether it will be a crossover or sedan, or where it will be assembled. GM has focused on making electric vehicles under its mass market Chevrolet brand, including the plug-in Chevrolet Volt and battery electric Bolt. GM announced last year it was ending production of the plug-in Volt as well as a low-selling plug-in Cadillac CT6, even as it moved to boost EV spending. GM said in November as part of its restructuring efforts it was doubling resources for electric and autonomous vehicle programs over the next two years. Last month, two Ohio senators asked GM to commit to building all future electric vehicles for U.S. buyers within the country. GM said in 2017 it planned by 2021 to introduce a new dedicated flexible electric vehicle architecture and an advanced battery system to support the development of at least 20 new models in the United States and China. GM said in 2017 that a new electric vehicle platform in 2021 will serve as a base for at least nine derivatives, ranging from a compact crossover to a large seven-passenger luxury sports utility vehicle and a large commercial van. Johan de Nysschen, who was then Cadillac's president, told Reuters at the Detroit auto show in January 2018 the luxury brand will play a "central role" in GM's electrification strategy, including China. He added that Cadillac would be "at the forefront" of rolling out new electric vehicles in the United States and China. He left GM in April. This week, GM said Cadillac sales in China rose 17 percent in 2018, surpassing 200,000 units for the first time. GM Chief Executive Mary Barra has said that GM aims to sell 1 million electric vehicles a year by 2026, many of them in China, which has set strict production quotas on such vehicles. Cadillac plans a press event Sunday in Detroit ahead of media previews for the 2019 Detroit auto show. The luxury brand will introduce the XT6 three-row crossover at the briefing though other details of the event have not been released. Barra said in 2017 the company plans to introduce at least 10 new electric or hybrid vehicles in China by 2020. GM opened a battery plant with Chinese partner SAIC Motor Corp. last year. In October, GM urged the Trump administration to back a nationwide program to boost sales of zero emission vehicles such as EVs, even as the government has proposed ending California's ability to require more clean vehicles.